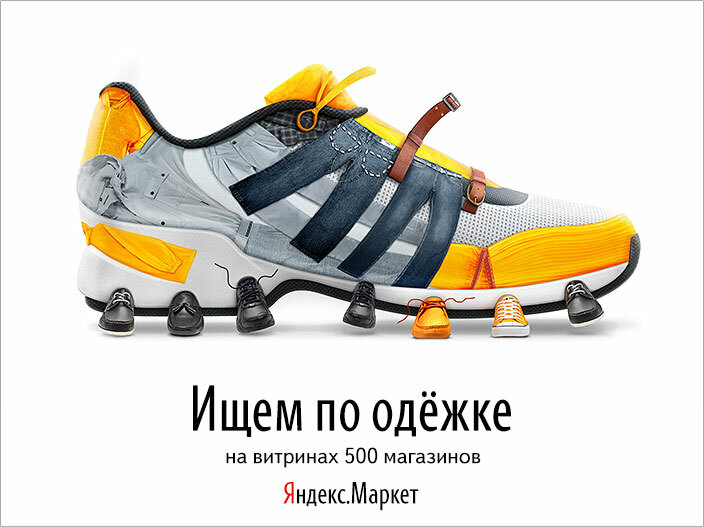 Task: to advertise Yandex’s fashion service. 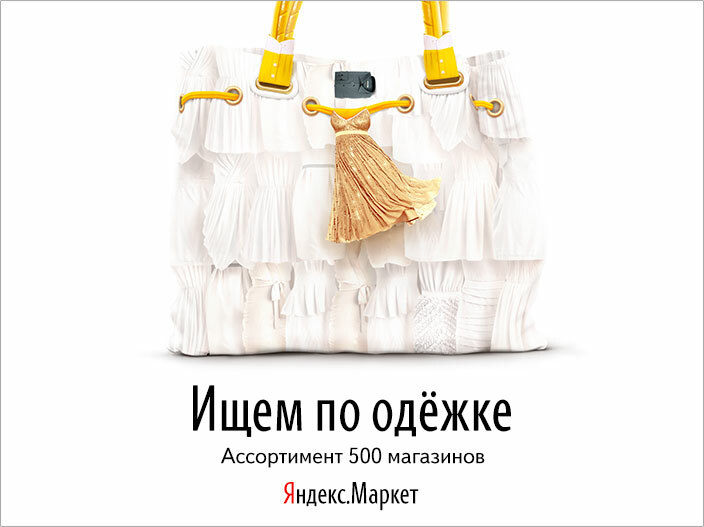 Visitors can use the Wardrobe section of Yandex.Market to find clothes and accessories of any size, fashion and brand. The search is conducted in online stores and real retail outlets. A series of images and a slogan were created for the campaign at the studio. 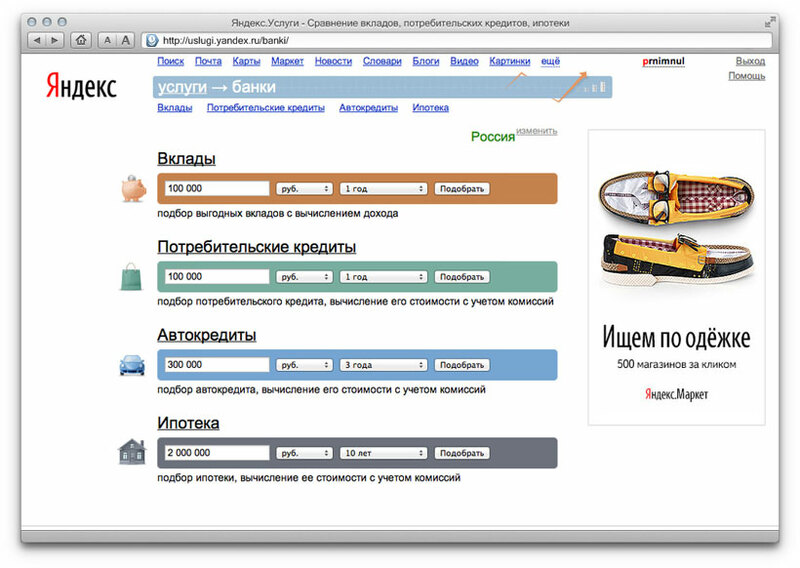 All elements are adapted to the required banner formats.